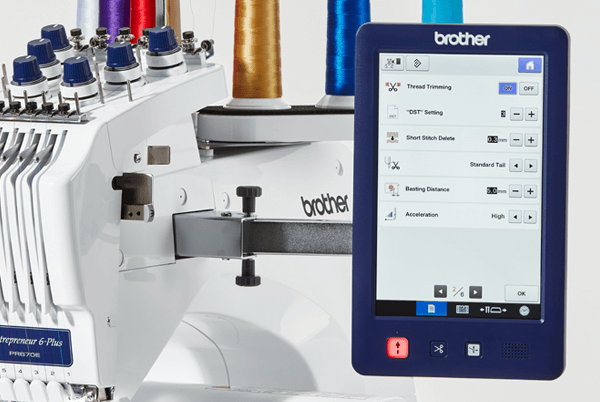 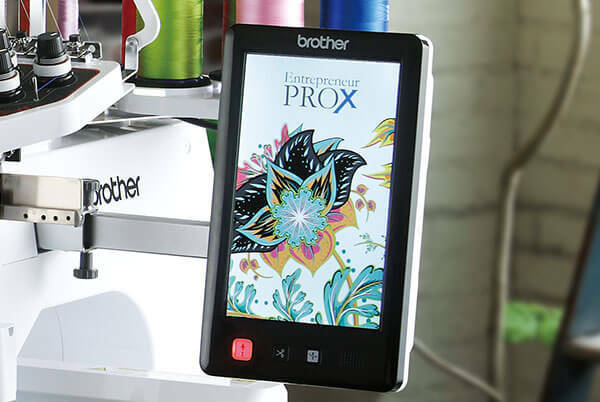 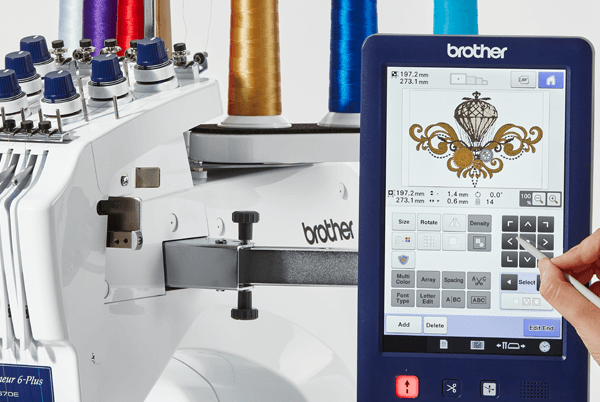 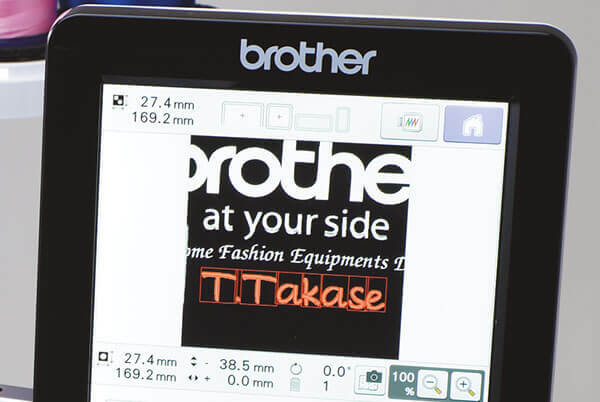 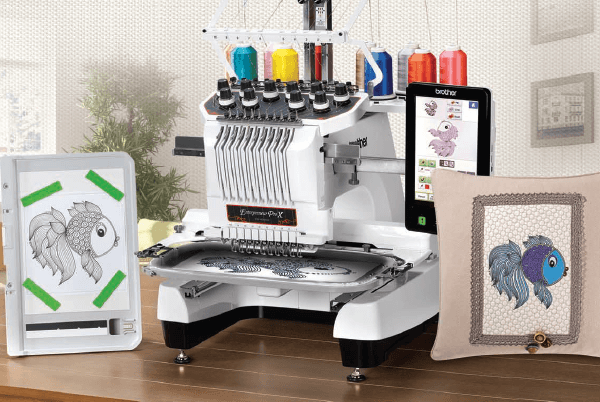 The Brother Entrepreneur PR670EC professional 6-needle embroidery machine is the perfect choice for a small or home-based business and sewing enthusiasts. 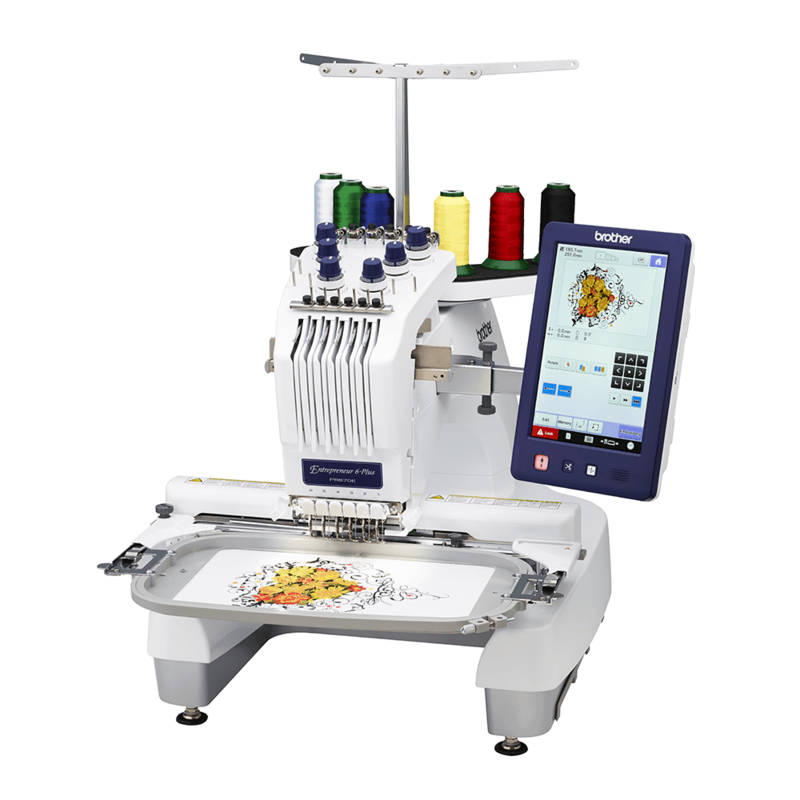 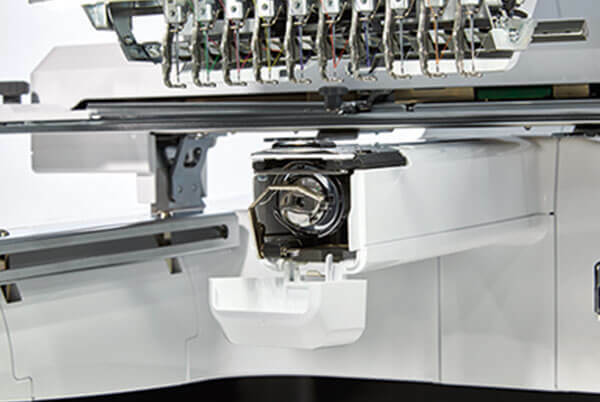 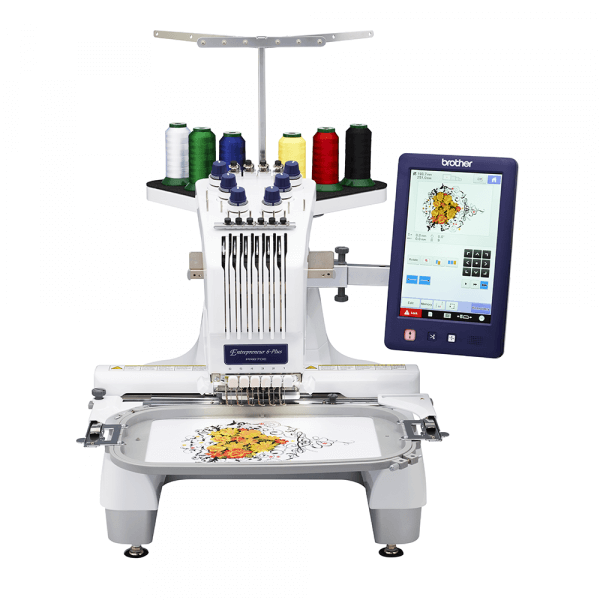 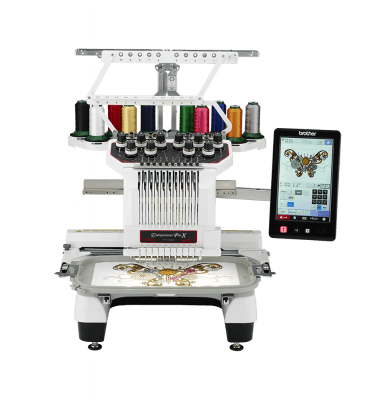 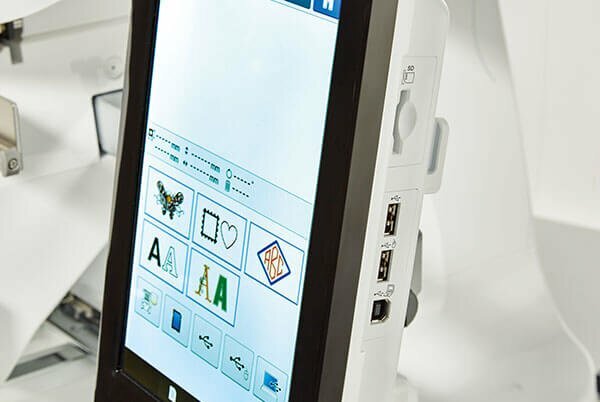 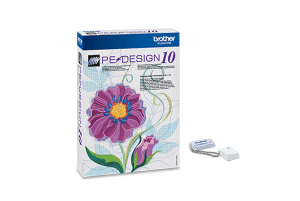 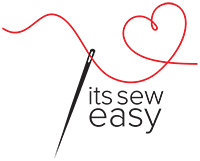 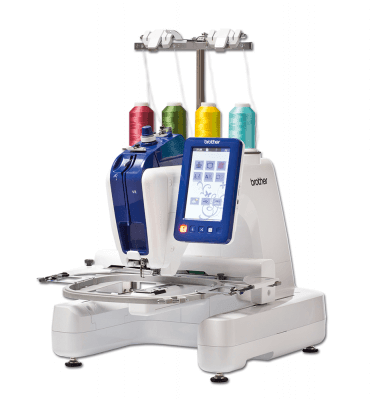 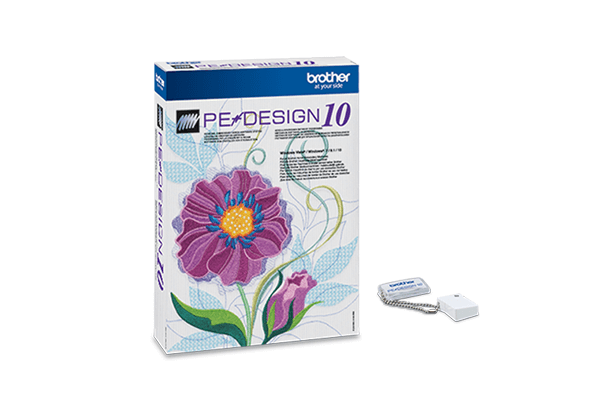 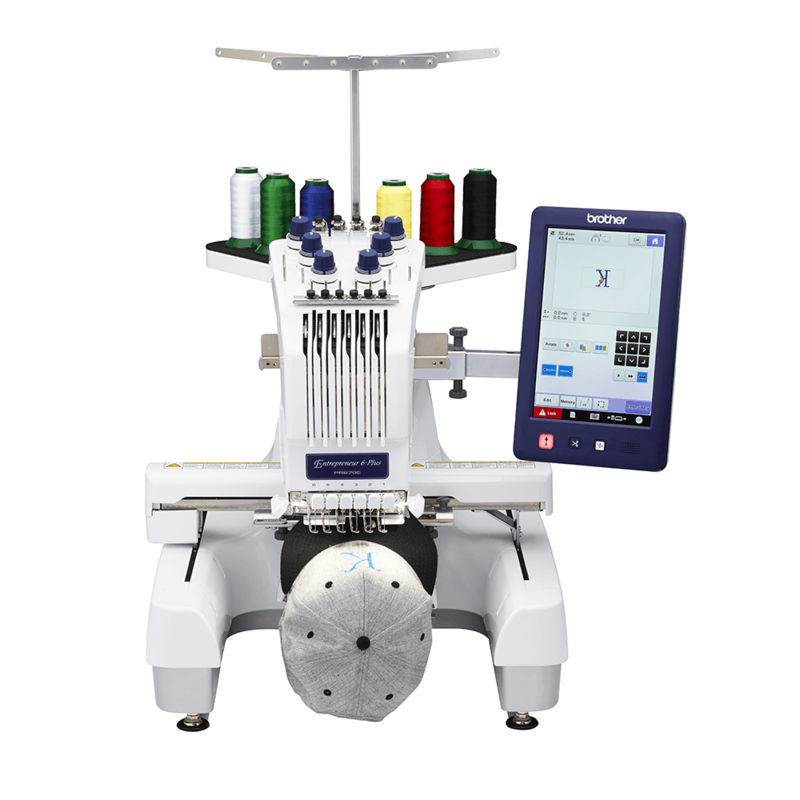 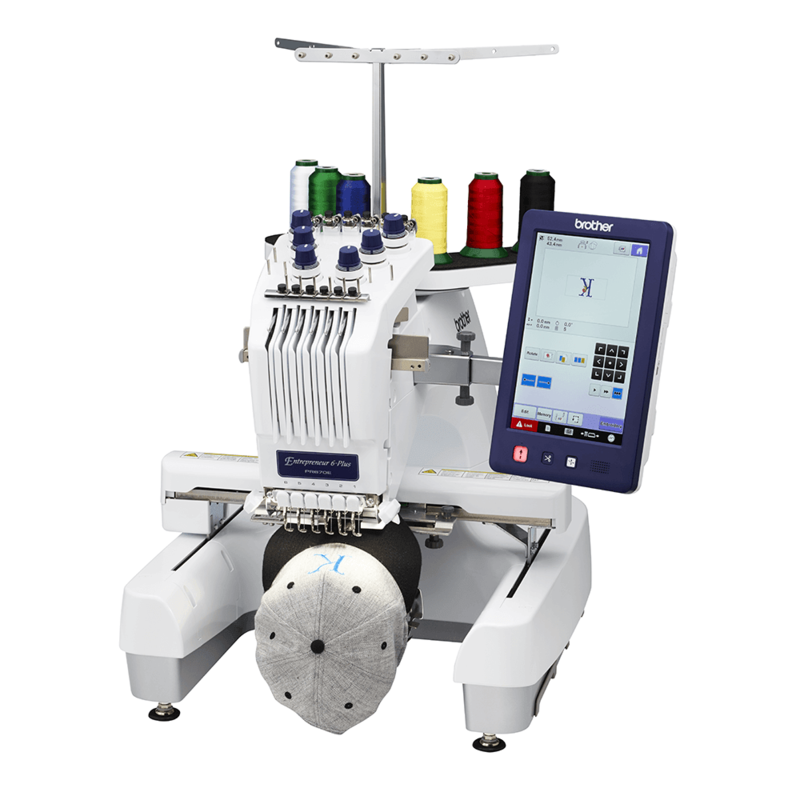 Its quick set up and fast multi-needle embroidery enables you to embroider large, multi-coloured designs with minimum thread changes and greatly increased productivity compared to traditional single-needle machines. 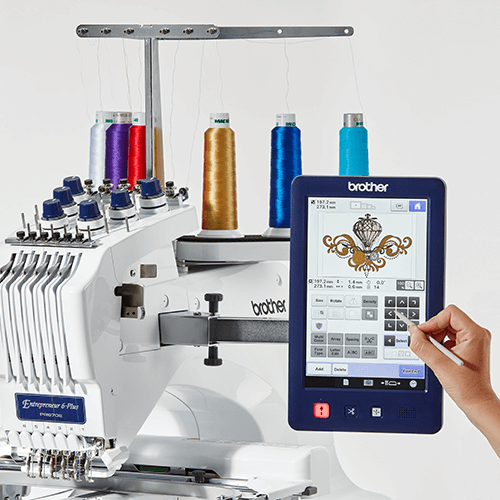 Plus, you can enjoy more creativity with its customisation features. 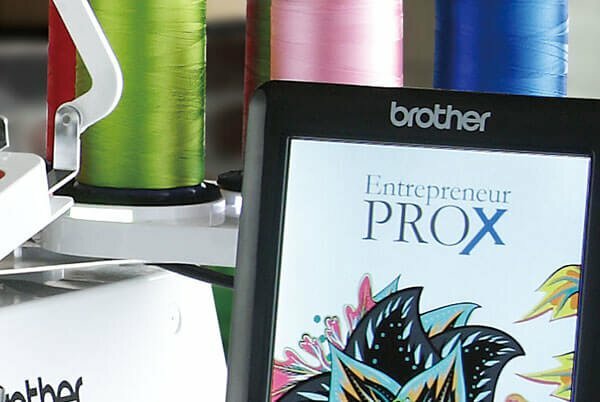 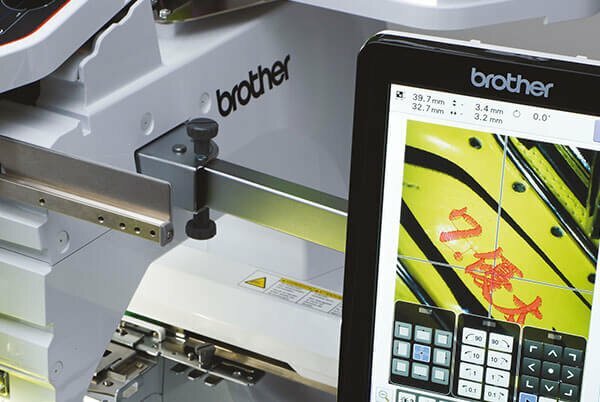 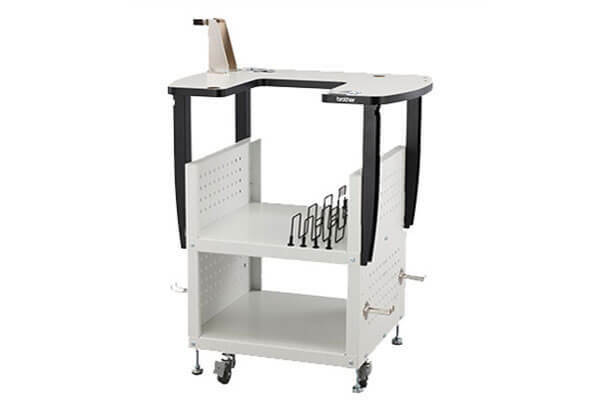 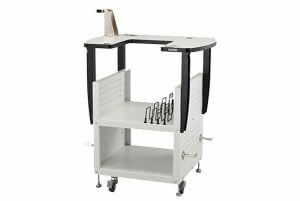 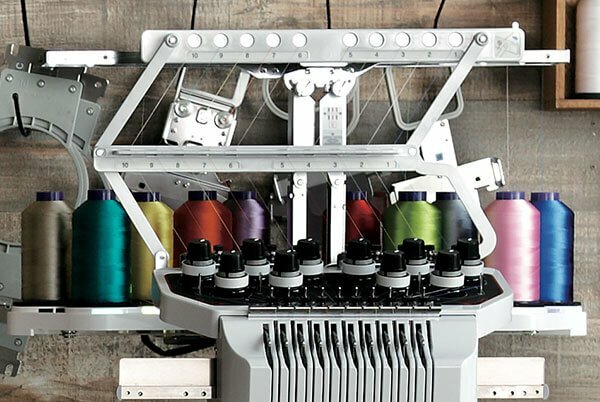 Boasting an array of new and standard features and functions that make it the first word in multi-needle embroidery for profit-minded professionals and passionate hobbyists alike, the Brother PR670EC embroidery machine offers everything you need to take your embroidery projects to the next level. 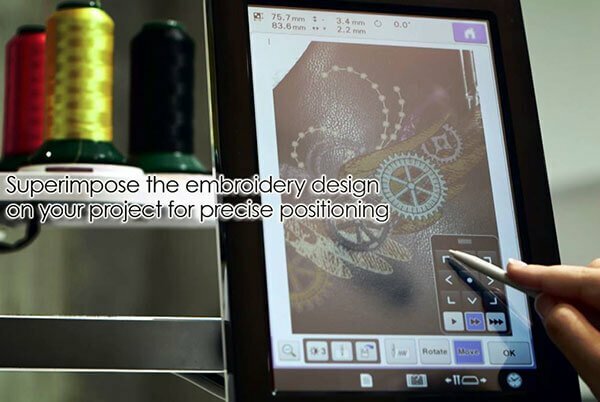 Customise your designs on screen with limitless capabilities including text arrangement, pattern rotation, lettering, size adjustments and combining designs. 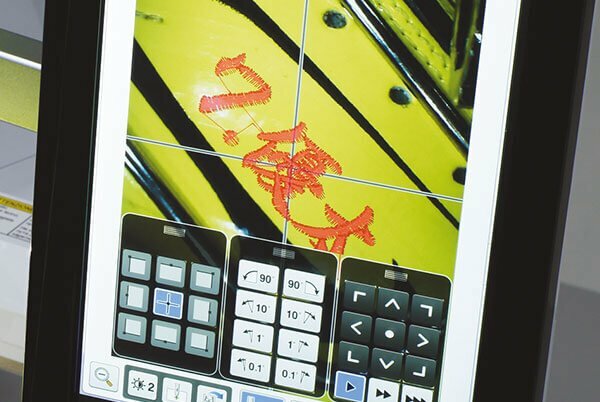 Use the touchscreen to transform your projects with 37 built-in fonts and a range of text effects to add flexibility and originality to your designs. 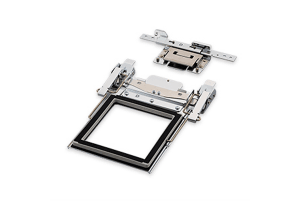 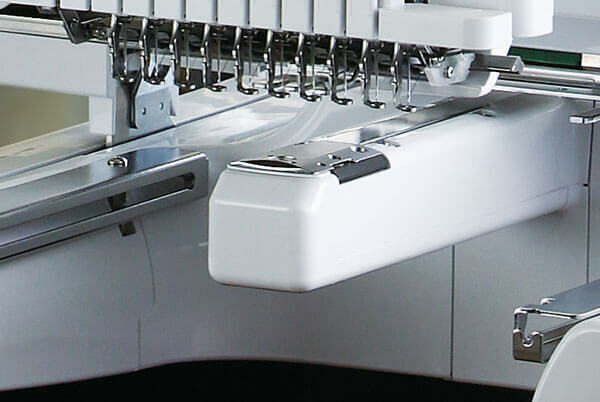 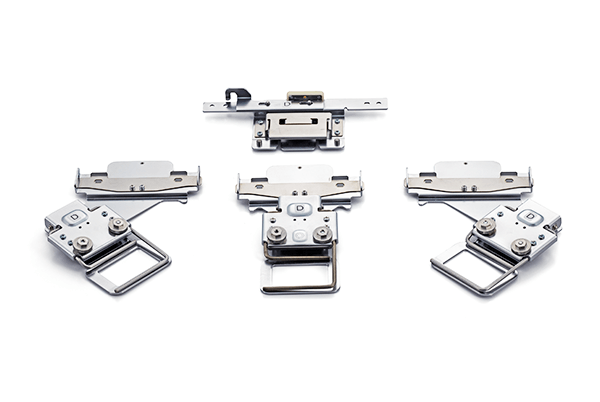 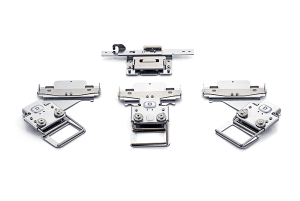 Most importantly, you’ll find the PR-670EC 6-needle embroidery machine incredibly easy to use. 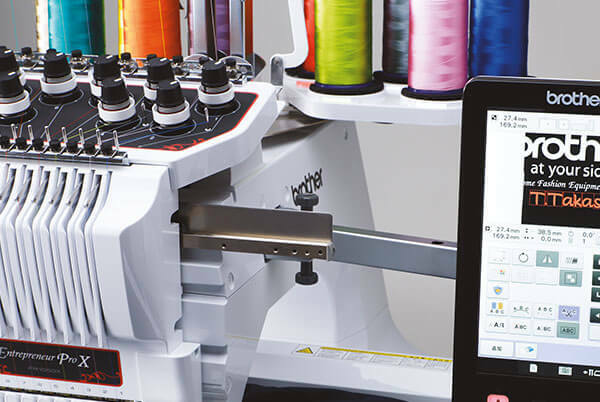 Full colour LED light which mimics the colour of the thread that belongs on the spool of each design. 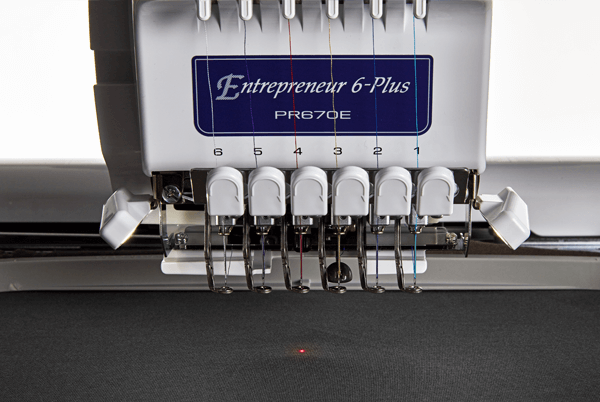 View 16 on-screen video tutorials and several built-in help guides that recommend the perfect, settings for your PR670E. 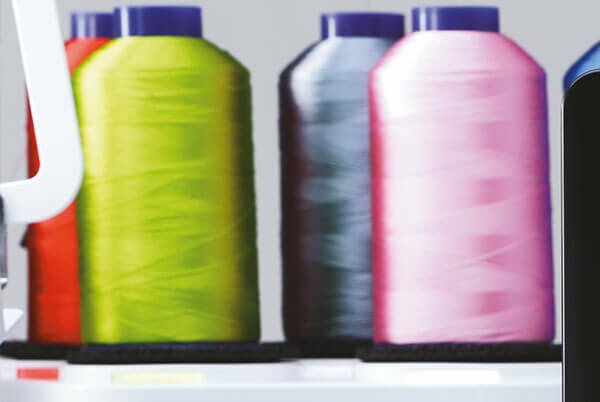 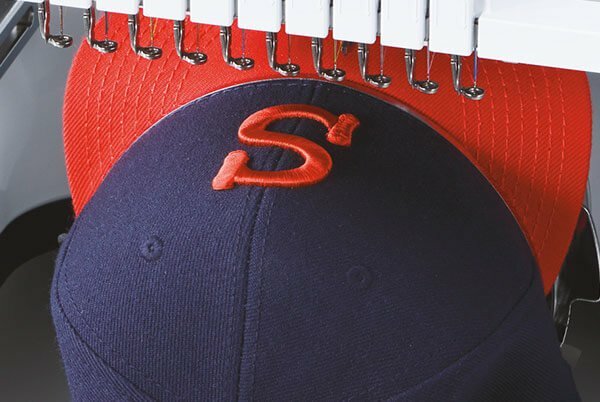 Embroider fabric without leaving hooping marks, especially for fabric prone to marking. 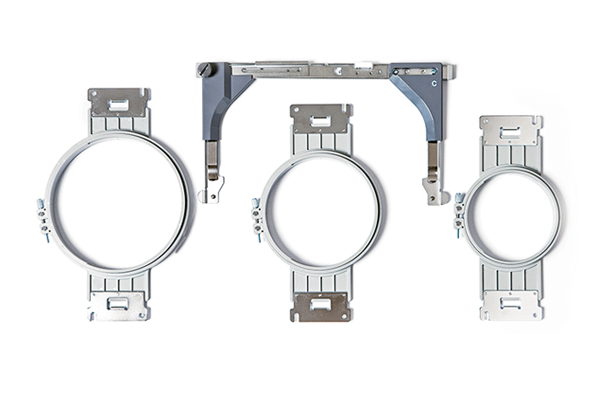 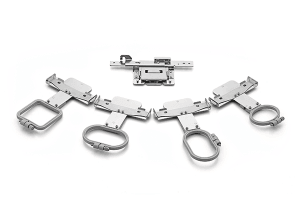 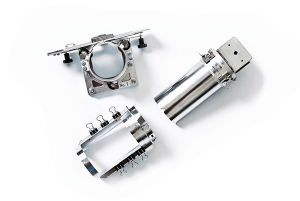 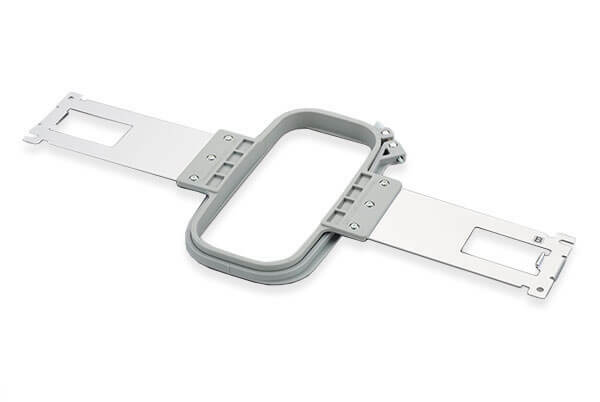 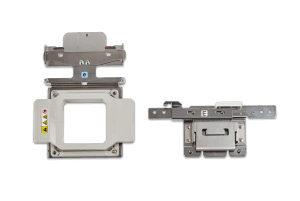 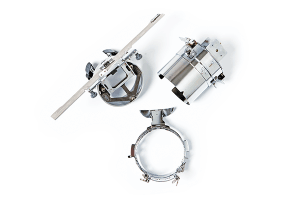 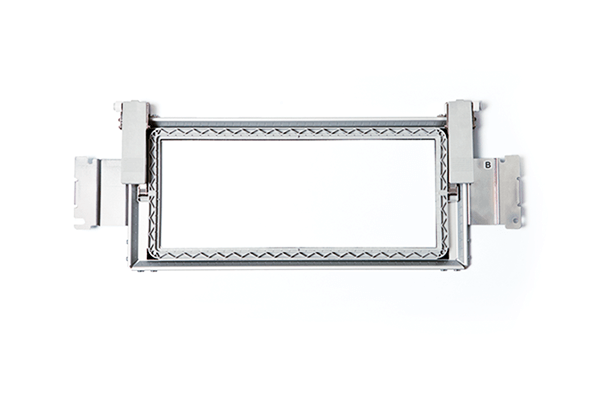 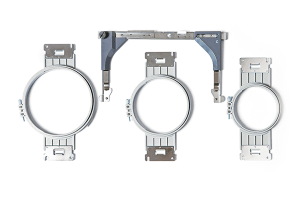 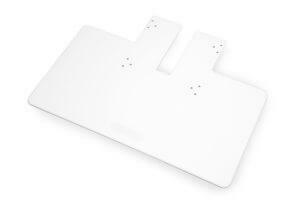 Fits on Arm E. Achieve even easier hooping with mounting jig. 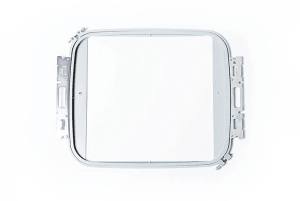 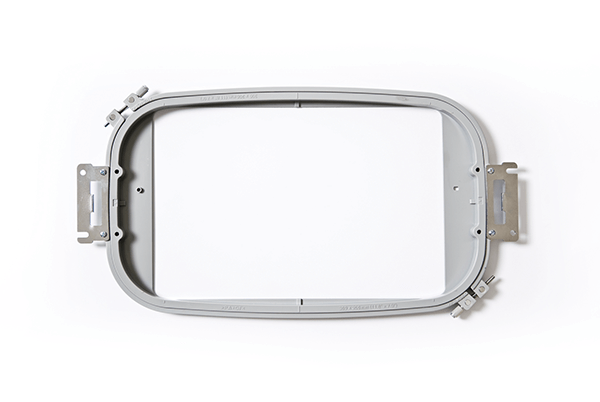 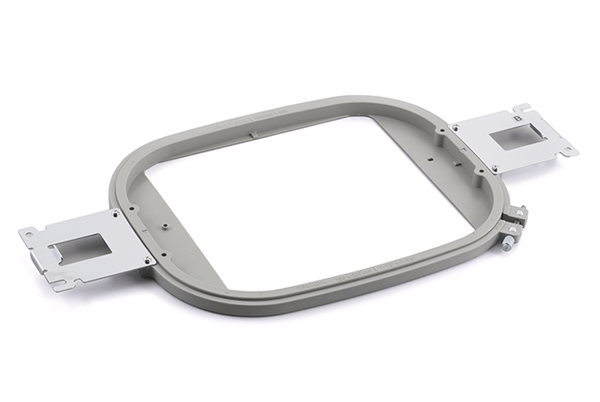 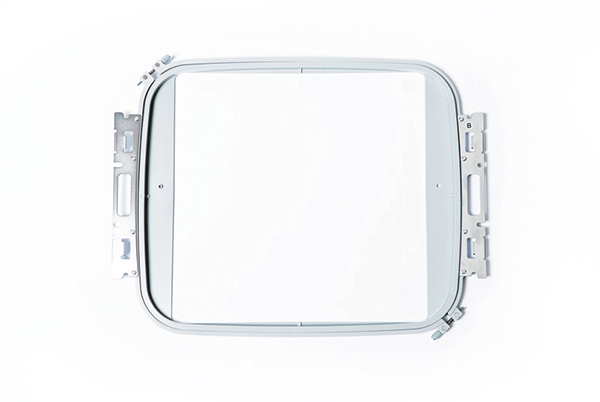 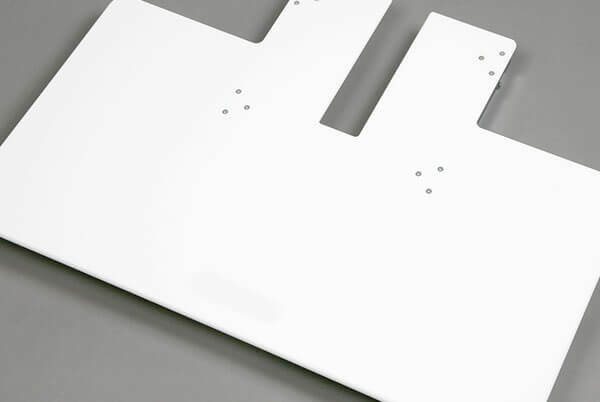 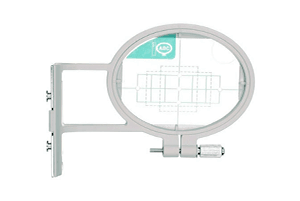 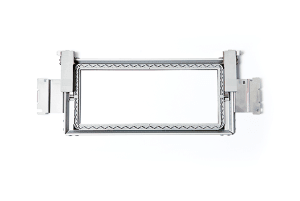 One oval embroidery frame that allows embroidery in a size of 60mm x 20mm, 47mm x 25mm or 27mm x 33mm.